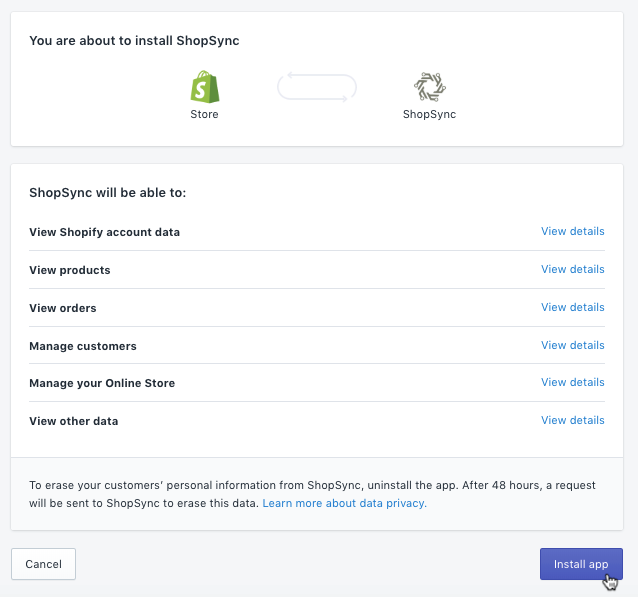 ShopSync is a third-party integration that supports many of the features available with the Mailchimp for Shopify integration. In this article, you’ll learn how to switch your integration, and its automations, from Mailchimp for Shopify to ShopSync. Switching your integration from Mailchimp for Shopify to ShopSync is a multi-step process. To avoid errors with your automations, you will need to pause your active campaigns, migrate your e-commerce automations, and disconnect Mailchimp for Shopify. Here's how it works. Use ShopSync to establish a new connection to your Shopify store. To avoid sending duplicate messages, we recommend that you migrate your active automations to ShopSync. After your automations migrate, it's time to disconnect the original Mailchimp for Shopify integration. You must have manager access or higher to make changes to your integration. To learn more about user levels, visit Manage User Levels in Your Account. Welcome automations being sent from Mailchimp for Shopify will need to be archived and recreated with ShopSync to avoid sending duplicate messages. The abandoned cart email series will not migrate at this time. 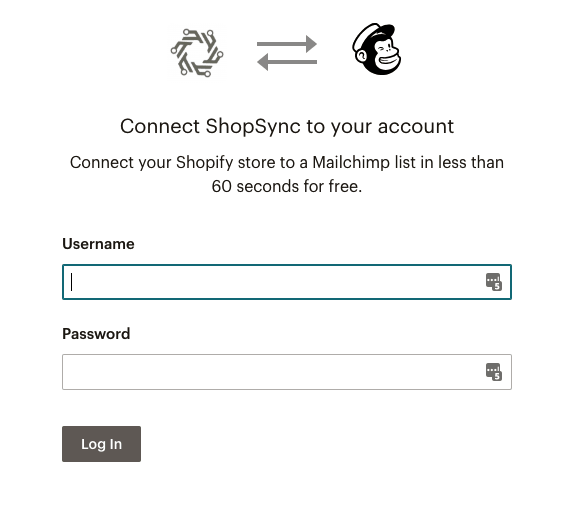 Use ShopSync to send your Shopify customer and order data to Mailchimp. To install, follow these steps. Find the ShopSync listing and click Add app. In the pop-up window, input your Mailchimp credentials and click Log In. After you connect, select a list, choose your double opt-in settings, and map merge tags. That's it! ShopSync will start to sync your store information to Mailchimp. The time it takes to sync depends on account data and the number of orders in your store. Once the sync is complete, return to Mailchimp to check that the connection is present in the Connected Sites page. To avoid sending duplicate messages, you will need to migrate your e-commerce automations to send from ShopSync. To migrate your store, follow these steps. Abandoned cart automations, order notifications, and product retargeting campaigns will all need to be paused. To pause your automations, follow these steps. Click the drop-down menu for the automation being sent from Shopify and choose Edit. Some types of automations look a little different. For these, you’ll click Pause and Edit. Repeat steps 2 and 3 for all e-commerce automations connected to the Mailchimp for Shopify integration. To migrate your store's automations to ShopSync, follow these steps. Click this link. When you click this link, a new tab will appear and we will transfer your automations to send from ShopSync. To resume your automations, follow these steps. Click the drop-down menu for the automation you want to work with and choose Edit. Some types of automations look a little different. For these, you'll click Resume Sending. 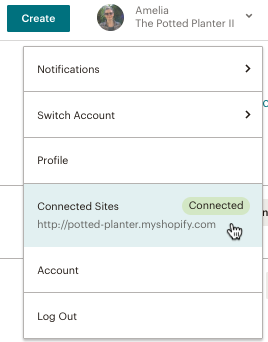 After you've installed ShopSync and migrated your automations, it’s time to disconnect the Mailchimp for Shopify integration. To disconnect the integration from Mailchimp, follow these steps. Verify that you are looking at the correct store. In the pop-up modal, type DISCONNECT and click Continue to proceed with disconnecting your store. Once the integration is phased out, historical data will remain available in Mailchimp for up to 30 days. After that point, purchase data, and some customer information, will no longer be visible in Mailchimp. Your Shopify data will remain available through your Shopify account, and you can choose to import it back into your Mailchimp account.